Just like their gin and the loch they named it after, Kevin and Lorien Cameron-Ross have found something real and rare in one another. 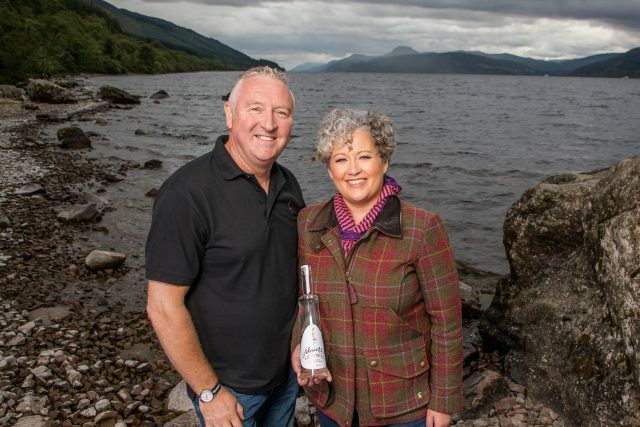 The husband and wife team behind Loch Ness Spirits have captured the majesty and mystery of the world’s most famous loch in their craft gin expressions. And while the loch’s equally-famous resident is notoriously elusive, Kevin was happy to chat to us about their gin journey together. We first met in Aberdeen when both of us were studying at University. Lorien was studying medicine and I was taking a Health Sciences degree, so nothing to do with distilling at all! How did you begin your Scottish Gin journey together? We began our Gin journey by picking Juniper from our fields with the idea of selling the Juniper to Gin companies. When we discovered how labour intensive this was we realised it was not commercially viable. We then decided to try making our own gin instead. What’s the best thing about working together? The Best thing about working together is that you can bounce ideas off of your best friend immediately. However saying that, even after 20 years or marriage, I still cannot always predict the response I will get from Lorien! What do you like to do together when you’re not working? Do you have any plans for Valentine’s Day? No nothing special planned, probably cook a nice meal, accompanied by a glass of Loch Ness Gin or course.